Injury prevention starts with risk factor identification. A spate of high profile metatarsal fractures in the late 90’s and early 2000’s for footballs lead to the identification that less supportive footwear was a primary cause of these fractures. This year rugby has change the rules for tackling to lower the risk of head and neck injuries, after higher tackles were identified as a cause of concussions. The necessity of having rest days as part of an athletes training program came from evidence of overtraining symptoms having both psychological and physical effects on the athlete. Athletes including strength training as part of their training programs as muscular imbalances and weakened muscles were shown to lead to injuries as well as aid performance. Once you identify risk factors you can create training programs, alter athletes’ footwear and sporting equipment, optimise their diet and modify sporting techniques to decrease injury rates. In ACL ruptures there are two main types of injuries – contact and non-contact ruptures. IN contact ruptures an external force is applied to the athletes’ knee and this tears the ACL. In football, tackling the studs up, or going over the ball have been banned for this reason. Biomechanical risk factors have shown the most potential for immediate and significant reductions in in injury rates if corrected through training strategies. These factors include; landing with less knee and hip flexion, altered muscle activation patterns, increase twisting of the knee inwards on landing from a jump while the foot is pointing outwards, decreased hamstring activation and less knee joint stiffness. This have all been recorded more frequently in women than men – explaining the high risk of ACL ruptures for young females. Women also demonstrated a pattern of limb dominance, where there is an asymmetry between their left and right leg strength, flexibility and coordination that results in an increase risk factor for the weaker leg. 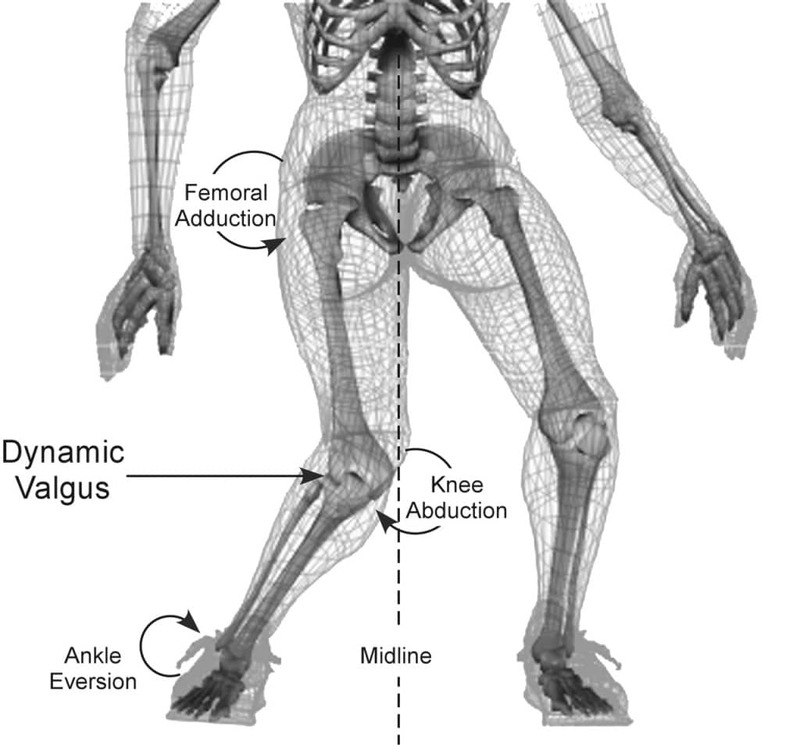 Now that we know the risk factors that lead to ACL ruptures, we can create training programs to correct these issues.